Give him a one-of-a-kind clothing experience with MTailor where you can customize almost everything for the absolute perfect fit. He will be able to start with a style he loves and the select sleeve style, button color, length style, neck cut and more. You’ll follow through all the options to customize the clothing. The best part is there is no need to measure anything. When you’ve picked your styles, then just use their app and your phone’s camera to take pictures and MTailor will do all the rest. My husband was so curious to see how the shirts would fit without any measurements. He loved the shopping experience and loves the way the shirt fits. Best of all, MTailor will remake it for free if it’s not perfect for you! He’ll love a neat and organized space where it’s easy to find all his tools and outdoor supplies. Gladiator GearTrack™ system makes it incredibly easy to organize everything you need and rearrange whenever you might need to. Start with GearTrack Channels and securely attach them to your garage walls, then add an assortment of hooks, baskets and bins to accommodate anything you need. Use Gladiator J & L Hooks to store small tools, duct tape, or line up helmets so they’re off the floor and easy to find. Gladiator’s Wide Hook can accommodate most outdoor tools like rakes and shovels and even brooms. Add Small Item Bins to store gloves, weed whacker spools, and other small accessories. My favorite new item, we put over near my boys bikes and toys is Gladiator’s Ball Caddy that can hold up to 9 full-sized basketballs. If he loves board games, there’s two great games by Game Salute that will quickly become a hit! 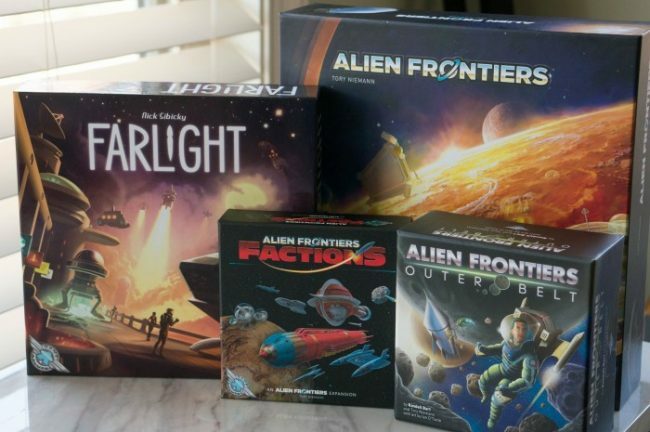 In Alien Frontiers you take on an alien race and use your troops (dice) to choose actions to help you colonize the world beneath you. The base game is fantastic and the dice element is so much fun. We love that you can add additional expansion packs onto the game to add new elements to the game when you’re ready for additional options. The Factions and Outer Belt expansions each add an additional player to the game, letting you play with up to 6 players! The expansions bring some new fun elements and challenges to the game and were a bit hit with our group. In Farlight you’ll play as explorers in space with interesting bidding elements and the ability to build your own spacecraft. Game Salute games are easy to learn, but filled with fun and interesting concepts that make the games fun to play over and over again. Camping and other outdoor adventures will be way more fun with a lightweight but super strong hammock along for the trip. Kammok’s Roo Double Hammock is easy to pack along at just 24oz. It can support up to 500 lbs with the super strong LunarWave ripstop fabric. The hammock suspension system was inspired by climbing harnesses with Kanga Claws that can support up to 5,000 lbs of force and Racer Slings a super-strong synthetic fiber that supports 2,000 lbs of force. The Roo Double Hammock packs down into a small and compact compression sack that can be used to stash your essentials while the hammock is in use. 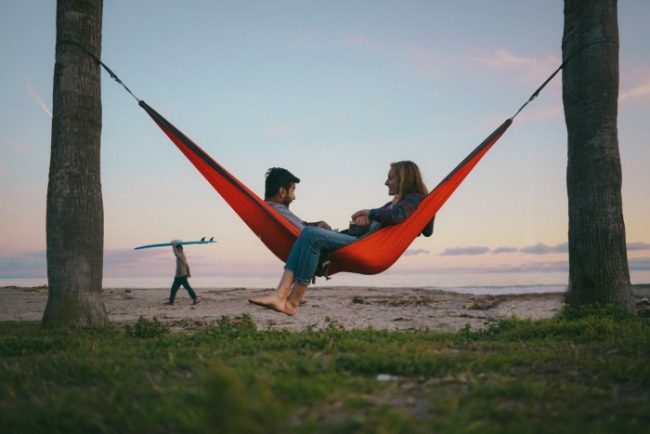 Visit Kammok to shop their entire line of active outdoor products he’ll love! If he loves being active, he will appreciate Arctic Cool Activewear. Their line of athletic apparel can transform your experience with fitness with the instant cooling technology within the fabric that will help you stay cool and comfortable even while working out. Their tops and bottoms use Hydrofreeze X Technology that wicks away moisture while lowering body temperature. Arctic Cool is built to last and is machine washable and antimicrobial so it can keep up with you for as long as you can go. Visit Arctic Cool to browse the whole collection of crew neck, polos, long sleeves, sleeveless, golf shorts and more! He’ll rest assured that his family and home are in good care with the Logitech Circle 2 home security system. The Circle 2 is a completely weatherproof indoor and outdoor camera that can be sued wired or wire-free to fit your custom needs. You’ll have a 1080p HD video and night vision so you’ll be able to catch any action including keeping tabs on the family when needed. What’s really cool is the Circle 2 is now compatible with Amazon Alexa, Apple HomeKit and Google Assistant so your home is even smarter with your security system a part of the action. Let the Circle 2 protect your home with up to 180° field-of-view. 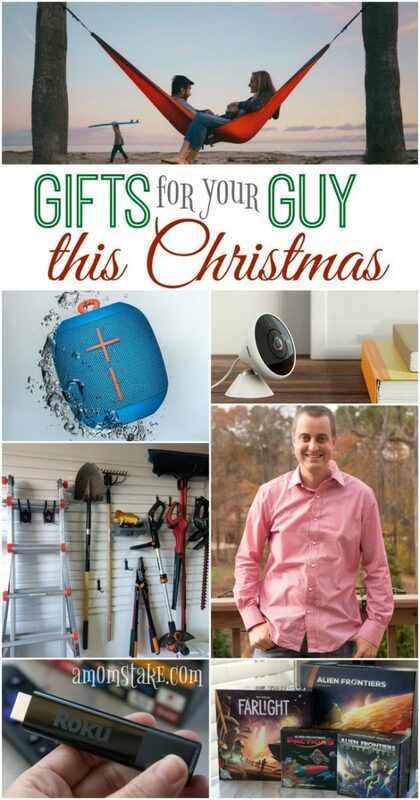 Turn to Sears for incredible gifts for him and all the ways he helps around the home. Sears carries two incredible brands that they’re renowned for – Craftsman and Kenmore! 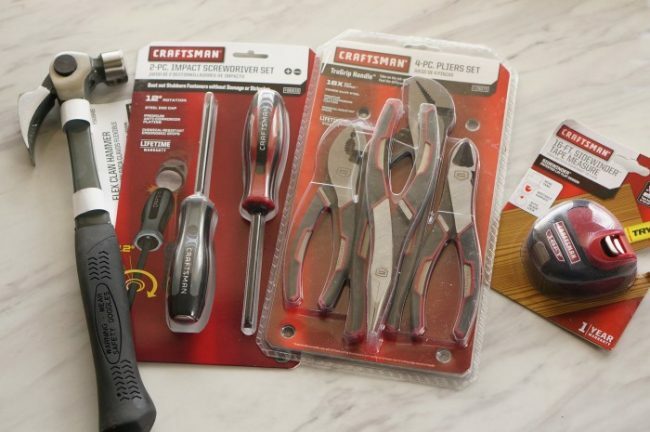 Pick up some new Craftsman tools for him with these smart new features, like the Craftsman 24oz Flex Claw Hammer with a rotating joint head for better leverage and access flexibility. The Crafstman 2-pc Impact Screwdriver Set have a narrow point and a slim edge made to remove stubborn fasteners without causing damaging. It’ll be easier to get the job done with the Craftsman TruGrip 4-pc Pliers Set and a Craftsman 16-ft Sidewinder Tape Measure. Then get him a Kenmore Elite Personal Blender that will be perfect for protein shakes and smoothies. All the parts can clean-up in the dishwasher! Find these top gifts and more at Sears this year! For the guy that loves movies, gift him a Roku Streaming Stick+. It delivers amazing 4k Ultra HD streaming all in a compact and portable stick-form that can go with him wherever he goes. With the Streaming Stick+ he’ll have 4x’s the wireless range of previous Streaming Sticks which helps reduce buffering times. You’ll also be able to control the Roku Streaming Stick+ with the voice remote that can also power on your TV and control volume so you can skip the extra controllers. Use the voice controller to easily search for a new show to start watching and then stream it from one of the many, many channels available in the Roku channel store. Get your own Roku Streaming Stick+ for your entertainment buff! He’ll love bring his tunes and anything else he wants to listen to with the super-portable Ultimate Ears Wonderboom! It’s a bluetooth speaker that packs big sound into a small speaker that can go with you anywhere. The smart design gives 360° sound with balanced bass for a smooth sound experience no matter where the speaker sits. It’s completely waterproof and it floats, so bring it along to pool parties, lake days, and on all your adventures – even into the shower! Plus, if it gets dirty it’s a cinch to clean just rinse away any dirt! The Wonderboom will deliver 10 hours of sound on a single charge. The hardest decision you have left to make is what color Wonderboom to choose, there are 6 really fun color combinations to choose from. Games are always a huge Christmas hit! This year, surprise him with Seaturtle Sport‘s new game, HOOT! Inspired by the traditional egg toss game, HOOT! is a four person game designed with two teams. One player tosses a rubber ball and the other player on the team tries to catch it with their scoop. As players move further and further apart, the game becomes more difficult. A few little twists, including intercepting the ball make HOOT! a must-have this holiday season. Whether you play it on the beach or in your own backyard, HOOT! will provide the entire family with hours of entertainment. 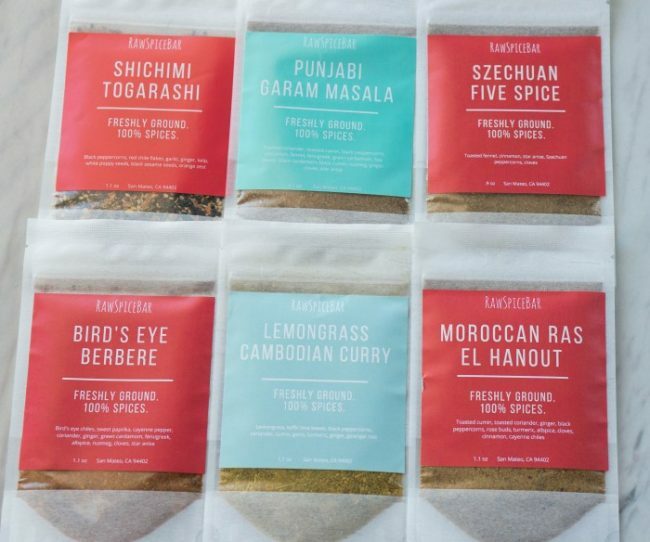 The foodies will love a set of new, freshly ground spices delivered right to their door once per quarter from RawSpiceBar. My husband loves to cook and he was giddy about the assortment that arrived and is already thinking up new recipes to try to use each of these spices. If your guy has a whole cupboard devoted to spices, than this is definitely the gift for him! Each quarter he’ll receive a new package with 6 full-sized seasonal spices and blends. He can easily transform the spices into meals with the kitchen-tested recipes that come by email to give even more value to this wonderful gift! Know what he’s missing, you can shop for individual spices or sets of spices in the RawSpiceBar shop. 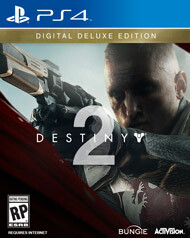 One of the hottest games this season is Destiny 2 from Activision. If your man played Destiny 1 and loved it, then the fun continues in Destiny 2. This first-person action game offers a wide-variety of gameplay for teens and adults. Go on an adventure across the solar system. Get caught up in a war against the Red Legion. Discover secrets of the forgotten past along the way to becoming a much needed legendary hero. Destiny 2 creates a world of fun with its cinematic storyline, thrilling adventures and competitive gameplay. Available on the PlayStation and Xbox, your man will have hours of fun this season playing with friends or venturing alone with Destiny 2 from Activision. Check out Activision for more games that he will love including Call of Duty WWIII. Help the man in your life be more productive this year with a new Epson WorkForce ET-4750 Eco Tank Printer. 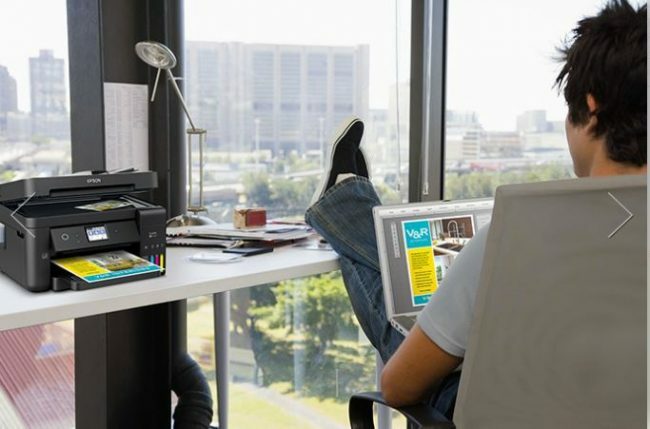 If your man works from home or owns his own business, this printer has everything he could ever need. It’s a printer, copier, scanner, and fax machine all-in-one. He can print from his phone, tablet or computer with the Wireless, WI-Fi Direct or Ethernet capabilities. The Epson WorkForce ET-4750 doesn’t take traditional ink cartridges. Instead, it has easy to fill ink tanks and comes with 2 years of ink in the box. That’s enough ink for 14,000 black or 11,200 color prints! The paper tray has a 250-page capacity and is double-sided print enabled. He can get more done, in less time, with a new high-quality all-in-one Epson WorkForce ET-4750 Eco Tank and spend that time on more important things. If you are shopping for the guy in your life that has absolutely everything, why not give him a break from reality with this Ziess VR ONE Plus headset. Simply slide your smart phone (both Android and iPhones with screens between 4.7″ – 5.5″ are compatible) into the headset, and instantly feel like you’re actually inside of your film or game; with hundreds of VR apps available, you will never get bored. What’s cool about this VR ONE Plus headset is that it comes equipped with ventilation ports (which prevent fogging), contains openings to help boost your smartphone’s sound, and provides absolute comfort for people who wear glasses. Making the virtual world real has never been easier, thanks to the Ziess VR One Plus. Talk about a fun, imaginative, and unique Christmas gift! That ZEISS VR headset would be cool. Thanks for the ideas to pass on to my wife. These are all fabulous gift ideas. My husband could really use the Gladiator GearTrack system. Games are always a good choice. Let me know if you need any more ideas from that category! I am always looking for ideas for my husband and these are some great ones. Thank you! I want half of those for myself, especially the organized garage! My husband would love the hammock though. Perfect for unwinding after a busy week. These are awesome gift ideas! I will add these to my husband’s gift list for him! I am sure he will love this! The Gladiator GearTrack system would be a perfect gift for my husband. He has been working on organizing his workshop. I will have to add this to my Christmas shopping list. Great ideas. My husband would probably love some stuff to get his garage organized. I’ll have to look into that. Now this is a cool dude list! That hammock has our address on it! thank you for sharing! My husband could definitely use that garage hanger in order to get his stuff better organized. It’s a mess in there right now! ha! Great ideas! I love the double hammock! I think my husband would enjoy the Wonderboom speaker. I love that it’s water proof too. We’ve been talking about getting a home security system for awhile now. My husband would probably really appreciate getting a system for Christmas. That gladiator gear rack system I think my husband would definitely love for Christmas. He has all sorts tools and a small place to store them in something like this would help a lot. These are all great gift ideas. Destiny 2 is always a winner for any gamer. It’s been a big hit at our house. Home security system is best for my husband. I would love to gift it to my husband.